What Determines the Value of an Insurance Agency? Cash flow is king. 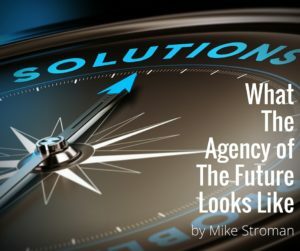 By Mike Stroman Multiples of Revenue Most people would probably say that multiples of revenue are what determine the value of an agency. So, let’s talk multiples of revenue. Is the range of acceptable multiples 1.4 to 2.5? If so, how do we determine where any individual agency falls in that range? Is it just a matter of who demands a higher value? These are great questions that we are asked every week. And the answer to all these perpetual value questions is: multiples don’t matter! We speak of multiples in reference to agency deals that have been completed in the past, and as a value check on an upcoming . . .
By Mike Stroman Over the past year, we’ve seen increases in interest rates by the Federal Reserve, but the increases have been small and implemented gradually. So, is this really an issue in insurance agency valuations? The answer is a resounding “YES!” There are three main effects this rise in interest rates has on agency valuations and the overall agency acquisition market: Higher interest rates take some buyers out of the market. There are two reason for this. First, lenders are not as loose on lending standards in an environment in which interest rates are increasing. And . . .
by Mike Stroman Twenty years ago, that answer would have been an agency that provides both Employee Benefits and Property & Casualty coverages. This all-encompassing business model keeps out the competition. Unfortunately, that’s where most agencies stopped innovating. They’re stuck in the past. Today’s world of client Risk Management is more complex, and more thoroughly litigated than ever before. Businesses expend significant chunks of management and administrative time just trying to meet Payroll, Human Resource, and Compliance requirements. This is time needlessly wasted, and risky to boot. This has also provided unprecedented . . . Copyright © 2019 · Stroman Consulting Group ] Powered by JEFF PAYNE COMPANY.